Terror suspects in America could be held in prison indefinitely – without charge or trial. The military will be able to take custody of alleged terrorists virtually without question. Critics say this would be a stark violation of human rights. The controversial National Defense Authorization Act, which was met with criticism from human rights activists, faced a presidential veto, but since last month Obama has retracted his warning. “The White House explained it would veto the bill because these provisions, mandating military custody amount to a restriction of president’s authority,” explains John Glaser, assistant editor at Antiwar.com. “But in truth it’s reasonable to assume that a veto threat was a mere political theater, because Senator Carl Levin one of the provision’s primary authors revealed during senate debate that it was the Obama administration itself who requested the inclusion of language mandating military detentions, including US citizens. So you could say the administration never changed their minds, it was just a sort of doing it for public consumption,” he told RT. Obama’s current position is in sharp contrast to the promises to shut down Guantanamo Bay he gave during the election campaign. “I am skeptical it was ever Obama’s plan to actually do that. He faced some congressional backlash for wanting to close Guantanamo Bay so early, but he has already agreed to indefinite detention of people that are left into Guantanamo. And that bill has within it language that would prevent transfer from Guantanamo to US prisons and any sort of US trials for people, who are still at Guantanamo right now. 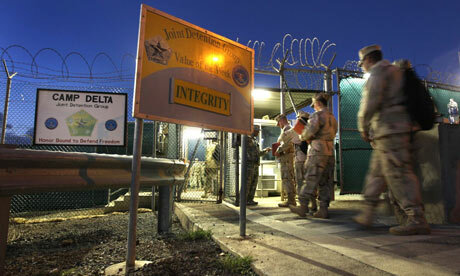 I think people were just fooled by Obama’s promises, regarding Guantanamo,” the activists pointed out. Radio host, Ralph Schoenman says that under the new law the US military will be entitled to “disappear” American citizens for offences that are never even made public – and not only that. “If you look carefully at this legislation, if you have a family or a friend who publicizes that you’ve disappeared they too can be detained. If anybody helps you with a taxi ride or attempts to give assistance to your family in the circumstances of your disappearance, they too can be detained. This is the architecture of the fascist state,” he told RT. The legislation is yet another step on the path of deteriorating human rights in America, Glaser believes. “Human Rights Watch has already condemned [the bill], calling it a historic tragedy for rights, but I doubt the international community will do anything about it. The government has already assumed that they have the power to detain US citizens indefinitely without trial. The targeted assassination of US citizen Anwar Al-Awlaki proves again that the government has already in every practical sense dismissed the due process rights for Americans,” he said. Barack Obama has abandoned a commitment to veto a new security law that allows the military to indefinitely detain without trial American terrorism suspects arrested on US soil who could then be shipped to Guantanamo Bay. Human rights groups accused the president of deserting his principles and disregarding the long-established principle that the military is not used in domestic policing. The legislation has also been strongly criticised by libertarians on the right angered at the stripping of individual rights for the duration of "a war that appears to have no end". The law, contained in the defence authorisation bill that funds the US military, effectively extends the battlefield in the "war on terror" to the US and applies the established principle that combatants in any war are subject to military detention. The legislation's supporters in Congress say it simply codifies existing practice, such as the indefinite detention of alleged terrorists at Guantánamo Bay. But the law's critics describe it as a draconian piece of legislation that extends the reach of detention without trial to include US citizens arrested in their own country. "It's something so radical that it would have been considered crazy had it been pushed by the Bush administration," said Tom Malinowski of Human Rights Watch. "It establishes precisely the kind of system that the United States has consistently urged other countries not to adopt. At a time when the United States is urging Egypt, for example, to scrap its emergency law and military courts, this is not consistent." There was heated debate in both houses of Congress on the legislation, requiring that suspects with links to Islamist foreign terrorist organisations arrested in the US, who were previously held by the FBI or other civilian law enforcement agencies, now be handed to the military and held indefinitely without trial. The law applies to anyone "who was a part of or substantially supported al-Qaida, the Taliban or associated forces". Senator Lindsey Graham said the extraordinary measures were necessary because terrorism suspects were wholly different to regular criminals. "We're facing an enemy, not a common criminal organisation, who will do anything and everything possible to destroy our way of life," he said. "When you join al-Qaida you haven't joined the mafia, you haven't joined a gang. You've joined people who are bent on our destruction and who are a military threat." Other senators supported the new powers on the grounds that al-Qaida was fighting a war inside the US and that its followers should be treated as combatants, not civilians with constitutional protections. But another conservative senator, Rand Paul, a strong libertarian, has said "detaining citizens without a court trial is not American" and that if the law passes "the terrorists have won". "We're talking about American citizens who can be taken from the United States and sent to a camp at Guantánamo Bay and held indefinitely. It puts every single citizen American at risk," he said. 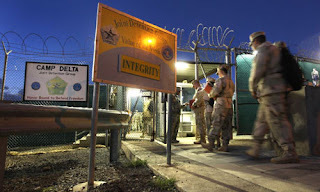 "Really, what security does this indefinite detention of Americans give us? The first and flawed premise, both here and in the badly named Patriot Act, is that our pre-9/11 police powers were insufficient to stop terrorism. This is simply not borne out by the facts." Paul was backed by Senator Dianne Feinstein. "Congress is essentially authorising the indefinite imprisonment of American citizens, without charge," she said. "We are not a nation that locks up its citizens without charge." Paul said there were already strong laws against support for terrorist groups. He noted that the definition of a terrorism suspect under existing legislation was so broad that millions of Americans could fall within it. "There are laws on the books now that characterise who might be a terrorist: someone missing fingers on their hands is a suspect according to the department of justice. Someone who has guns, someone who has ammunition that is weatherproofed, someone who has more than seven days of food in their house can be considered a potential terrorist," Paul said. "If you are suspected because of these activities, do you want the government to have the ability to send you to Guantánamo Bay for indefinite detention?" Under the legislation suspects can be held without trial "until the end of hostilities". They will have the right to appear once a year before a committee that will decide if the detention will continue. The Senate is expected to give final approval to the bill before the end of the week. It will then go to the president, who previously said he would block the legislation not on moral grounds but because it would "cause confusion" in the intelligence community and encroached on his own powers. But on Wednesday the White House said Obama had lifted the threat of a veto after changes to the law giving the president greater discretion to prevent individuals from being handed to the military. Critics accused the president of caving in again to pressure from some Republicans on a counter-terrorism issue for fear of being painted in next year's election campaign as weak and of failing to defend America. Human Rights Watch said that by signing the bill Obama would go down in history as the president who enshrined indefinite detention without trial in US law. "The paradigm of the war on terror has advanced so far in people's minds that this has to appear more normal than it actually is," Malinowski said. "It wasn't asked for by any of the agencies on the frontlines in the fight against terrorism in the United States. It breaks with over 200 years of tradition in America against using the military in domestic affairs." In fact, the heads of several security agencies, including the FBI, CIA, the director of national intelligence and the attorney general objected to the legislation. The Pentagon also said it was against the bill. The FBI director, Robert Mueller, said he feared the law could compromise the bureau's ability to investigate terrorism because it would be more complicated to win co-operation from suspects held by the military. "The possibility looms that we will lose opportunities to obtain co-operation from the persons in the past that we've been fairly successful in gaining," he told Congress. Civil liberties groups say the FBI and federal courts have dealt with more than 400 alleged terrorism cases, including the successful prosecutions of Richard Reid, the "shoe bomber", Umar Farouk, the "underwear bomber", and Faisal Shahzad, the "Times Square bomber". Elements of the law are so legally confusing, as well as being constitutionally questionable, that any detentions are almost certain to be challenged all the way to the supreme court. Malinowski said "vague language" was deliberately included in the bill in order to get it passed. "The very lack of clarity is itself a problem. If people are confused about what it means, if people disagree about what it means, that in and of itself makes it bad law," he said. The White House is signing off on a controversial new law that would authorize the U.S. military to arrest and indefinitely detain alleged al Qaeda members or other terrorist operatives captured on American soil. As the bill neared final passage in the House of Representatives and the Senate on Wednesday, the Obama administration announced it would support passage of the National Defense Authorization Act (NDAA), which contains slightly watered-down provisions giving the military a front line role in domestic terrorism cases. The administration abandoned its long-held veto threat due to changes in the final version of the bill, namely that in its view, the military custody mandate has been "softened." The bill now gives the President the immediate power to issue a waiver of the military custody requirement, instead of the Defense Secretary, and gives the President discretion in implementing these new provisions. "We have concluded that the language does not challenge or constrain the President's ability to collect intelligence, incapacitate dangerous terrorists, and protect the American people, and the President's senior advisors will not recommend a veto," the White House statement said. The detainee provisions are just one part of the annual NDAA authorizing $662 billion in federal defense spending next year. While the bill never expanded the authority to detain American citizens indefinitely without charges, proponents said the legislation would codify court decisions finding the President does have the authority to declare "enemy combatants," as commander-in-chief and under the post-9/11 Authorization for Use of Military Force against al Qaeda and its allies. The administration, which has pledged not to use this power, believes the bill leaves this legal issue unresolved. "By signing this defense spending bill, President Obama will go down in history as the president who enshrined indefinite detention without trial in U.S. law," said Kenneth Roth, executive director of Human Rights Watch. "In the past, Obama has lauded the importance of being on the right side of history, but today he is definitely on the wrong side." FBI Director Robert Mueller, testifying before the Senate Judiciary Committee on Wednesday, said the provisions still could create confusion among counter-terrorism professionals. "My concern is that you don't want FBI agents and the military showing up at the same time, with some uncertainty" as to who has control, Mueller said, and raised this hypothetical example: "A case that we're investigating on three individuals, two of whom are American citizens and would not go to military custody and the third is not an American citizen and could go to military custody?" Mueller was joined earlier in the detainee debate by Defense Secretary Leon Panetta and Director of National Intelligence James Clapper in opposing the military custody provision, because they said it might inhibit flexibility by counter-terrorism professionals, restrain federal, state, and local law enforcement authorities, and risk losing the cooperation of terror arrestees. "If President Obama signs this bill, it will damage both his legacy and American's reputation for upholding the rule of law," said Laura Murphy, director of the ACLU Washington Legislative Office. "The last time Congress passed indefinite detention legislation was during the McCarthy era, and President Truman had the courage to veto that bill." Bill opponents have noted that in the decade since the 9/11, the government has successfully convicted over 300 people for terrorism-related crimes, including thwarted plots to bomb passenger jets, subway lines, and landmarks such as Times Square and the Sears Tower. By comparison, the military justice system, although stymied by constitutional challenges, has completed only six cases in Guantanamo Bay, Cuba, where 170 detainees remain. Iraq's Crisis grows; US "hobbled"
Another threat to health and freedom? India's economy is running out of POWER! And they talk about conspiracy theories! Is this 2008 over again?